According to a report on Bibles for Mideast, it was a case of divine intervention by God. , who were Islamic converts from the militants who were hunting them down. The group that was thus protected by God consisted of around 50 newly baptized Christians, whose bus was surrounded by militants who fired shots. One of the newly converted Christians revealed that about 50 people had attended the baptism. Afterwards, they all entered a bus to make the return journey and conduct a worship service when they were attacked. "Suddenly some militants reached behind us by three or more cars and started shooting with guns toward us," he revealed. "We kept secret about our baptism service. But we don't know how it was leaked to the militants. Maybe it was the militants plan to kill us in the sea during the baptism service. But somehow we finished our service earlier and tried to return back." Thinking they would all be murdered, the group began to pray for protection as the militants pursued them. It was at this crucial moment, when no hope seemed possible for the group, that a strong wind picked up and began swirling the dust around the Christians. One of them reported, "Suddenly we saw a giant dust storm formed behind our bus. 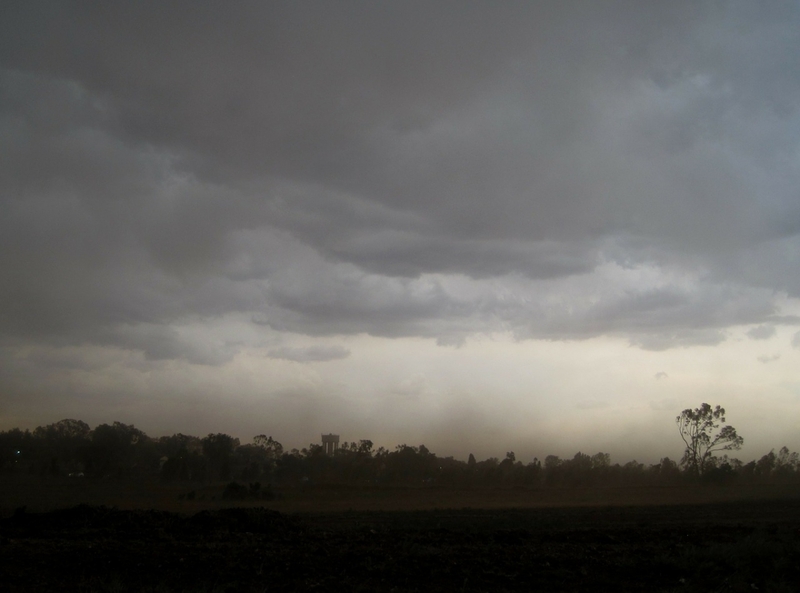 At first we all afraid of seeing the dust storm. We thought we may not be able to go beyond and will be held by the militants. But praise the Lord! Praise the Lord again and again! We all felt that the Lord Jesus Christ appeared upon the dust storm as a Mighty and Wonderful Man showing His protecting and lovely hands toward us with a sweet smile. Jesus saved us. He Himself blocked the road of militants in the form of a dust storm."